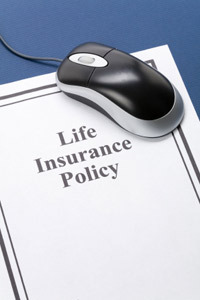 Getting the Best Life Insurance Policy that's right for You! The Canadian life insurance industry is regulated by the government and has many laws in place to protect the consumer. Many independent associations also operate in Canada that work to ensure that life insurance brokers have access to continual professional development this combined with a commitment to continually improving the standards of qualifications make Canadian life insurance a safe product to purchase. How else can you be sure that the life insurance that you are purchasing is of good quality? All life insurance professionals are licensed, meaning in order to sell insurance in Canada they must pass the required exams. The Life License Qualification Program (LLQP) and the Life Licensing are exams that are specifically designed to provide that the broker or life agent is qualified to sell life insurance. Solutions Financial is committed to providing individuals with choice and the ability to obtain the best suited life insurance for their particular situation. Let us work with you to help get the coverage you need at a price you deserve.